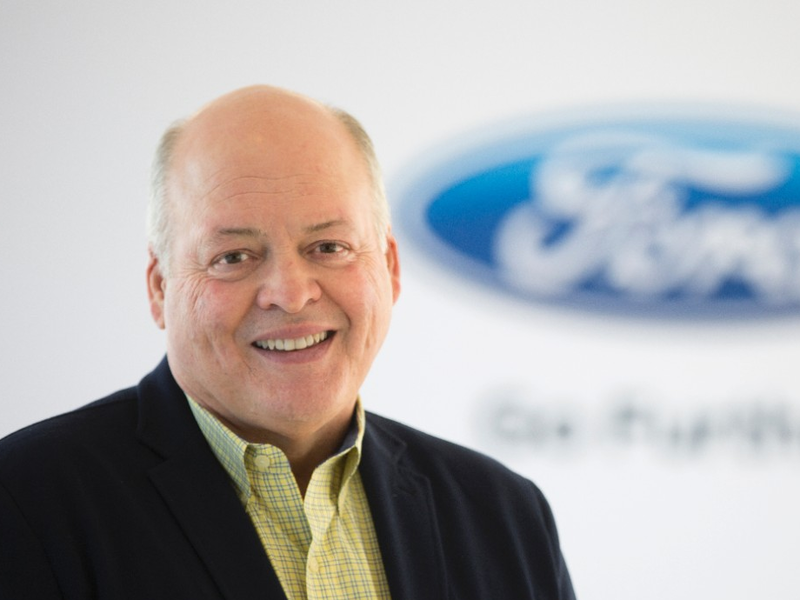 Ford Motor Company on Monday announced that Jim Hackett, who has served as chairman of Ford Smart Mobility LLC since its inception in March 2016, will take over as president and chief executive officer effective immediately. Hackett, 62, is replacing Mark Fields, a 28-year Ford veteran that took office as CEO in mid-2014. Although Ford notes in a press release that Fields elected to retire, The New York Times suggests that he was likely forced out as a result of a three-year term in which the company’s share value dropped around 40 percent. Shares are trading up 1.46 percent on the news as of writing. Hackett relinquished his position on Ford’s board of directors last year to lead Ford Smart Mobility LLC. The subsidiary, which was meant to operate like a start-up, was tasked with designing, building, growing and investing in emerging mobility services. Then-CEO Mark Fields said their plan was to quickly become part of the growing transportation services market, an industry that is already generating $5.4 trillion in revenue annually. Hackett served as CEO of office furniture company Steelcase for many years and even filled in as interim athletics director at the University of Michigan from October 2014 through March, 2016, helping the school find a permanent replacement. He will report directly to Executive Chairman Bill Ford and lead the company’s more than 200,000 global employees. Together, Ford said they will focus on three priorities: sharpening operational execution, modernizing Ford’s business and transforming the company to meet future challenges.